Digital Management Inc. has acquired Washington-based Pappas Group for an undisclosed amount to add marketing and branding services to DMI’s enterprise mobile technology portfolio. DMI and Pappas seek to help enterprises build brands and relationships with customers by using mobile, analytics and data management platforms, DMI said Tuesday. “To win in todays fragmented, hyper-connected environment, companies need brands that are deeply relevant and present everywhere, ” said Jay Sunny Bajaj, DMI president and CEO. 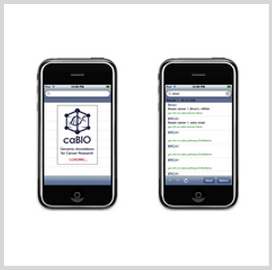 Bethesda, Md.-based DMI offers mobile platforms and related services to Fortune 1000 companies and 15 federal agencies. Pappas’ clients include Neustar, Geico, Hilton Hotels & Resorts, Audi and the Discovery Channel.